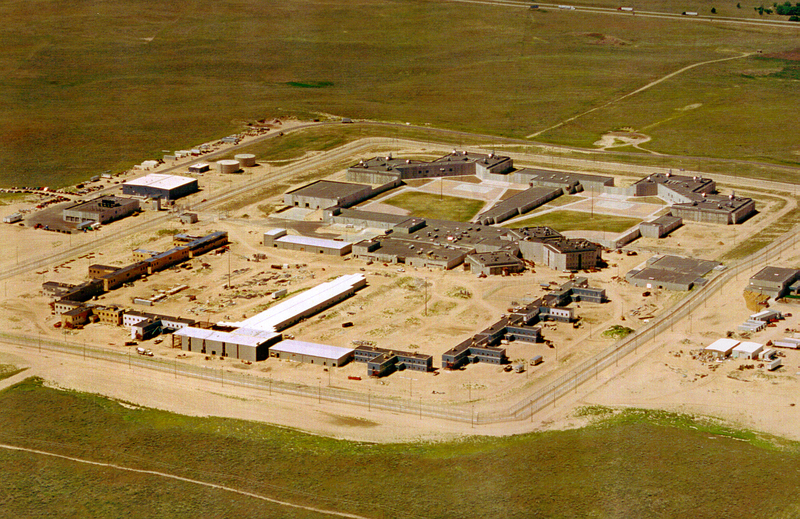 The Sterling Correctional Facility, as Colorado’s ﬁrst mega facility is a mix of all custody levels contained within security and sub-security units, in a cluster of operational units, sharing certain essential support functions, and housed in a campus-like setting. Phase I provided 408 general population medium security cells. Eighty percent were proposed as double occupancy and 20 percent as single occupancy for a total of 734 inmate beds. It further provided 96 close security single occupancy cells and 64 administrative segregation cells for a total population of 894 inmates. It was planned for an ultimate capacity of 2,532 inmates. As an autonomous stand-alone institution, the Sterling Correctional Facility houses complete medical, dental, and mental health departments for the inmate population combining state of-the-art technology with security systems and design appropriate to the custody level. Phase III, the Minimum Security Housing Building at the Sterling Correctional Facility (SCF), serves as the Colorado Department of Corrections’ most recent model for a prototypical design for site adaptation at this custody level. SCF contains eleven identical housing units of this type. The building is based on a previous prototypical design, with modiﬁcations intended to make the facility conform to current building codes, American Correctional Association (ACA) Standards for Adult Correctional Institutions, and security guidelines developed for the unique multi-custody setting.